Replay review in Major League Baseball is designed to provide timely review of certain disputed calls and is initiated by a manager challenge or by the umpire crew chief. All reviews are conducted at the Replay Command Center, which is located at Major League Baseball Advanced Media headquarters in New York, by replay officials -- full-time Major League umpires who work shifts at the Replay Command Center in addition to their on-field shifts. Replay officials review all calls subject to replay review and decide whether to change the call on the field, confirm the call on the field or let stand the call on the field due to the lack of clear and convincing evidence. Beginning in the 2017 season, replay officials are expected to render a decision on a replay review within a two-minute time period (some exceptions permitted). If replay review results in a change to a call that had been made on the field, the replay official shall exercise his discretion to place both clubs in the position they would have been in had the call on the field been correct. The decision of the replay official to either uphold or change one or more calls subject to replay review shall be final and is not subject to further review or revision. Once replay review is initiated, on-field personnel from either club who further argue the contested calls or the decision of the replay official shall be ejected. No protest shall ever be permitted on judgment decisions by the replay official. If a call is overturned on replay review, any decision made by a manager after the play and influenced by the incorrect call shall be nullified. That manager shall be permitted to reaffirm or change his strategic decision based on the result of the play as determined by the replay official. At any time during a game, a crew chief may initiate a replay review of a potential home run call without a manager challenge being exercised. Beginning in the eighth inning, a crew chief may conduct a replay review of all reviewable calls upon his own initiative or upon the request of a manager who has no remaining manager challenges. Potential home run calls: The umpires' decision to call or not call a home run may be reviewed if there is a question as to whether the ball left the playing field or struck an object; whether the ball struck the top of a fence, hit a railing or otherwise stayed within the field of play; whether the ball was interfered with by a fan reaching over the fence; or whether the ball was fair or foul. Non-home run boundary calls: Calls involving a decision regarding whether a live ball bounces out of the field of play, strikes the top of a fence or hits a railing or other obstacle in the ballpark, is interfered with by a fan reaching over the fence, is successfully caught by a fielder proximate to a stadium boundary, or leaves the field of play and becomes a dead ball. Specified fair/foul ball calls: Calls involving a decision regarding whether a batted ball was foul are reviewable only on balls that first land at or beyond the set positions of the first- or third-base umpire. Force/tag play calls: Calls involving a defensive player's attempt to put out a runner by tagging him or touching a base, and/or whether or not the runner acquired the base. Catch plays in the outfield: An umpire's decision whether a fielder caught a fly ball or a line drive in flight in the outfield before it hit the ground is reviewable, but fly balls or line drives fielded by a defensive player in the infield is not eligible for review. Specified baserunning calls: Calls involving whether a baserunner passes a preceding runner, whether a baserunner scored ahead of a third out, and whether a baserunner touched a base. Hit by pitch: Calls involving whether a pitched ball may have hit a player, a piece of his clothing or his bat. Whether the ball was in the strike zone when it touched the batter and whether the batter made any attempt to avoid being touched by the ball is not be reviewable. Collisions at home plate: Calls involving a runner deviating from his path to initiate contact with the catcher, and a catcher blocking the path of the runner without being in possession of the ball. Tag-ups: Whether a runner left the base early or properly touched a base following a catch on a fly ball is reviewable. Placement of runners: An umpire's placement of a batter and/or runners following any boundary call is reviewable. Interference on double plays: Calls pertaining to whether a runner intentionally interfered with a fielder in an attempt to break up a double play. 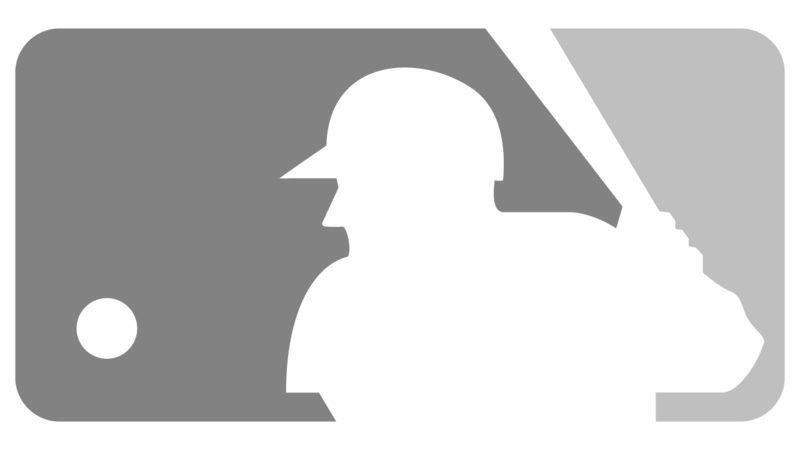 Major League Baseball instituted replay review -- to be used at the umpire's discretion -- on disputed home run calls (fair or foul, in or out of the ballpark, fan interference) on Aug. 28, 2008. Replay review was expanded starting in the 2014 season, giving managers one challenge to start the game and allowing them to challenge two times in total provided the first challenge resulted in an overturned call. In addition, a much wider range of calls were made subject to review. Clubs could challenge potential home run calls, non-home run boundary calls, tag and force plays (except on a fielder touching second base while turning a double play), fair and foul balls in the outfield, catch plays in the outfield, a potential hit by pitch, whether a runner scored before a third out, whether a runner touched a base, whether a following runner passed the runner ahead of him, and record-keeping situations (ball-strike counts, outs, score and substitutions). Replay review was modified again in the 2015 season, permitting managers to retain their challenge after every overturned call; allowing them to signal for a challenge during an inning without approaching the umpire on the field; and providing two challenges for any All-Star Game, postseason game and Divisional or Wild Card tiebreaker game. The list of calls that were subject to review was also expanded to include tag-up plays. The slide rules on attempts to break up a double play were changed in the 2016 season, and calls pertaining to said rule were also made reviewable. Additionally, all force plays were made reviewable in the 2016 season, including a fielder touching second base while turning a double play. Watch: Astros manager A.J. Hinch challenges the safe call on Chris Devenski's pickoff attempt of Delino DeShields, and the call is overturned after replay review.